Rye IPA - Zipline Brewing Co. Step aside, barley. There’s a new grain in town. 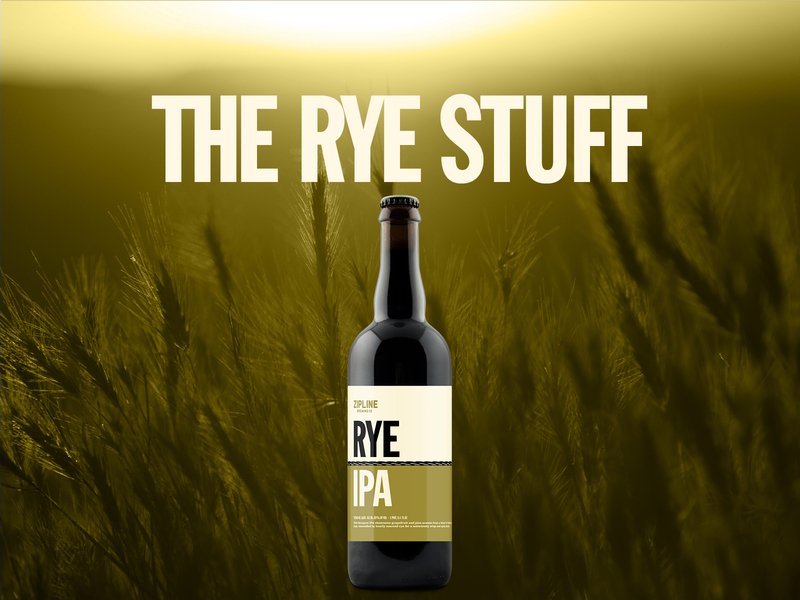 Rye IPA showcases what a different grain can do to change up a classic. We put together a blend of classic American hops with both resiny and citrus aromas, and added them to a grain bill loaded with local rye. There are plenty of reasons to add other grains to a beer recipe. Brewers look to adjunct grains for clarity, more fermentable sugars, mouthfeel, and of course, flavor. Why rye? When spice and hops interact on your palate, these two flavors enflame each other. We put the rye directly into the beer to double the bite and double the fun. Rye IPA releases in the taproom Friday, June 24, don’t miss it! Take some home with you in a growler or snag a bottle of it. That’s right– Rye IPA is the next in our 750 Series, so you can stock your fridge for your next hop craving.